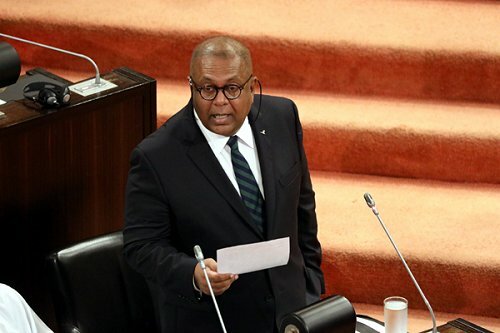 Apr 24 (CP) Colombo- Sri Lanka's Finance Minister today said Strong economic fundamentals will support resilience to withstand the economic impact of the devastating bomb attacks on the country's churches and hotels on Easter Sunday that killed 359 people and injured scores. Apr 25 (Island) Ella Flower Garden Resort is a bustling tourism property in Ella where British, German, French and Australian guests account for more than 55% of their total guest profile. The hotel's glass door now has signs of a variety of facial coverings, including icons of a helmet, an eyeless full-figure shroud etc. which means the rule extends to all face coverings. Apr 25 (DN) Inspector General of Police (IGP) Pujith Jayasundera in a letter addressed to Defence Ministry Secretary Hemasiri Fernando said he received confidential intelligence documents warning of a possible suicide attack on April 9. Apr 24 (CP) Colombo- A Sri Lankan court today released former UNP General Secretary Tissa Attanayake, who is alleged of producing a forged document to media, from his charges as the plaintiffs and the defendant have reached to settle the case. Apr 24 (CP) Colombo- Three persons including singer Amal Perera, who were arrested by the Criminal Investigation Department (CID) yesterday when they arrived in Sri Lanka after deported from Dubai, have been released. 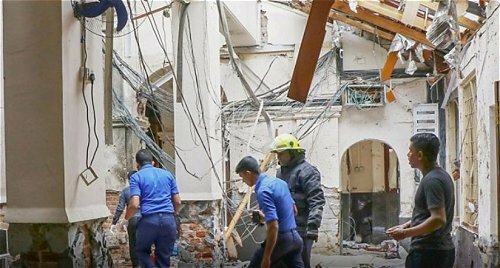 Apr 24 (CP) Colombo- The Federal Bureau of Investigation (FBI), the US intelligence and law enforcement agency, will be assisting Sri Lanka in the investigations into the Easter Day bomb attacks on churches and hotels that killed 359 people. 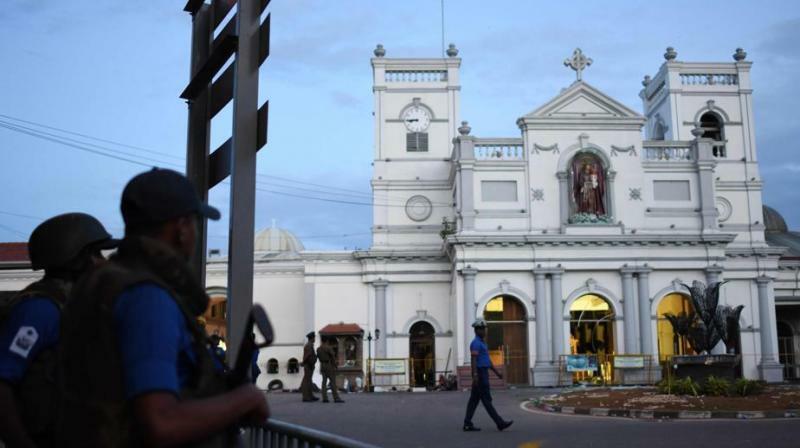 Apr 24 (CP) Colombo- More than 60 people have been arrested in Sri Lanka in connection with Easter Sunday blasts, Police Media Spokesman SP Ruwan Gunasekara said. He said 32 of the suspects are being detained by the Criminal Investigations Department (CID) for questioning while the others are detained at relevant police stations. Apr 24 (Reuters) COLOMBO- Sri Lankan housewife Fathima Fazla thought of her neighbors in the grand three-storey home across the street as the wealthy celebrities of her humble Colombo suburb. She had no idea how infamous they would become. APr 24 (AFP) The streets of Sri Lanka's Katuwapitiya should be full of the sound of children's games. But after deadly Easter attacks that killed at least 45 children, they have fallen silent. Apr 24 (BBC) Two brothers were both suicide bombers in the Sri Lanka massacre - and one of their wives later blew up herself and their two children during a police raid, according to a report. Apr 24 (CP) Colombo- Sri Lankan President Maithripala Sirisena has asked the police chief and defense secretary to quit following the Easter Sunday suicide bomb attacks on churches and luxury hotels that killed 359 people, a Reuters report said citing two sources close to the president. Apr 24 (CP) Colombo- Sri Lanka Tourism Promotion Bureau (SLTPB) and Sri Lanka Tourism Development Authority (SLTDA) issuing a statement said the country was open for business, and all necessary steps have been taken to ensure assistance is provided to tourists in need of help following the acts of terror that took place on Easter Sunday. Apr 24 (CP) Islamabad- Pakistan's Prime Minister Imran Khan today telephoned his Sri Lankan counterpart Ranil Wickremesinghe and strongly condemned the terrorist attacks that took place in Sri Lanka on Easter Sunday. Apr 25 (Island) Nations Leasing launched its revolutionary �One-Stop Leasing Centre� recently at Nations Trust Bank PLC, Nawam Mawatha, Colombo 2. The Leasing One-Stop Centre simplifies and speeds up the process of obtaining leases for customers. Apr 25 (DM) Sri Lanka�s export sector is already feeling the blow from the terror attacks that took place on Easter Sunday, and the negative impact is expected to continue in the coming months, according to top representatives of the sector. Apr 25 (DN) Kingsbury Hotel Colombo, which was a terrorist target on Easter Sunday was opened for business yesterday, with a wedding function held in the hotel. �We are open for business and most of our restaurants too are now opened,� said Managing Director of Kingsbury Colombo, Lalin Samarawickrama. Apr 25 (TTG) As Sri Lanka's tourism industry inches towards recovery amid intensified security after the tragic Easter Sunday carnage, the Kingsbury - one of three hotels subject to suicide bomb attacks � said it will resume normal operations on Thursday. 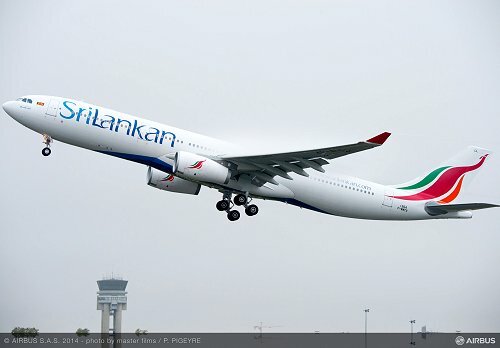 Apr 24 (CP) Colombo- SriLankan Airlines has made arrangements for all ticketing related matters to be handled from SriLankan Airlines ticket offices and passenger services offices across the country, for the convenience of its valued customers and taking into consideration the current situation in the country. 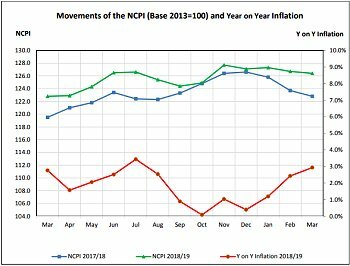 Apr 24 (CP) Colombo- Sri Lanka's nationwide inflation in March 2019 determined under the National Consumer Price Index (NCPI) rose to 2.9 percent from 2.4 percent recorded in February on a year-on-year basis, the Department of Census and Statistics reported Monday. Apr 24 (Reuters) COLOMBO- The Sri Lankan rupee closed 0.2 percent weaker on Wednesday as worries over further explosions after the Easter Sunday blasts weighed on the currency while stocks rose a fraction after hitting a more than six year low. Apr 25 (Island) The entire government would have resigned if a disaster like the Easter Sunday carnage had happened in any other country, but such things would never happen in Sri Lanka, Field Marshal Sarath Fonseka told Parliament, yesterday. 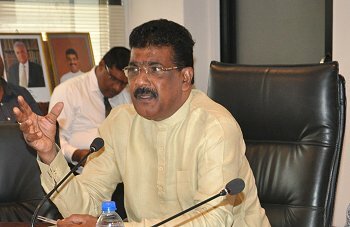 Apr 25 (DM) Leader of the House Lakshman Kiriella yesterday called for the appointment of a parliamentary select committee to look into the failure of communication of the prior warnings that were made by foreign intelligence on last Sunday�s terrorist attacks. Apr 25 (DN) TNA MP M. A. Sumanthiran yesterday demanded that Eastern Province Governor M. L.A. M. Hisbullah�s alleged connections to National Thowheed Jamaath must be investigated. Sumanthiran also said that all connections this terrorist group has had with various other politicians and previous defence officials must be investigated as well. 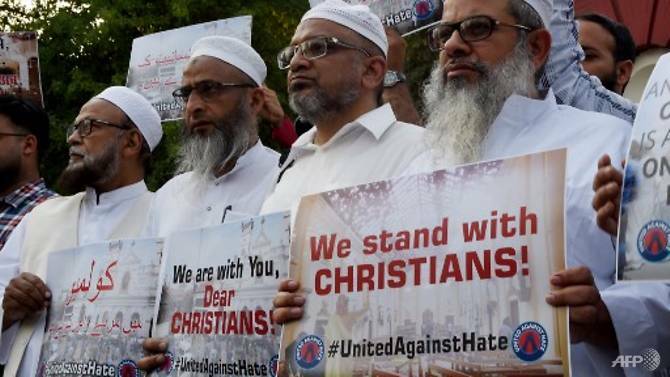 Apr 25 (CNA) COLOMBO- Mohamed Hasan has barely left his home in Colombo since a string of deadly blasts hit Sri Lanka on Sunday (Apr 21), afraid he could be attacked because he is Muslim. 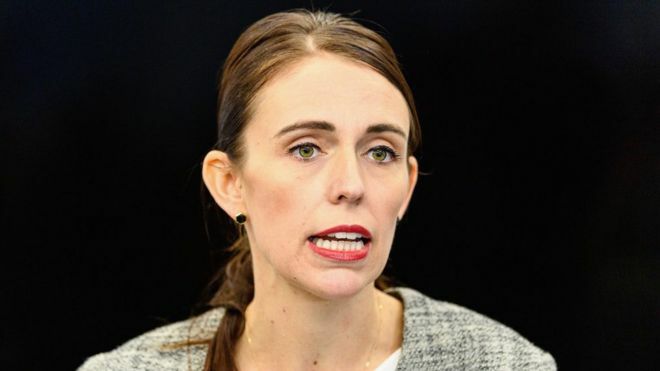 Apr 24, Colombo: New Zealand's Prime Minister Jacinda Ardern said on Wednesday that her government was not aware of any intelligence suggesting that a devastating attack on Easter Sunday in Sri Lanka was in retaliation for deadly shootings on mosques in Christchurch in March. Apr 24 (CP) Colombo- The state Minister of Fisheries and Aquatic Resources Development, Dilip Wedaarachchi has given strict advice to the Ceylon Fishery Harbors Corporation and all the responsible officials to take immediate action to ensure the safety of all fisheries harbors with the assistance of the security forces, considering the situation at hand. Apr 24 (CP) Colombo- Sri Lanka Parliament Wednesday afternoon approved the implementing Emergency Regulations in the country for a month. The resolution presented by Prime Minister Ranil Wickremesinghe under the Public Security Ordinance, to implement emergency regulations in the country through the Proclamation made by the President was approved without a vote. 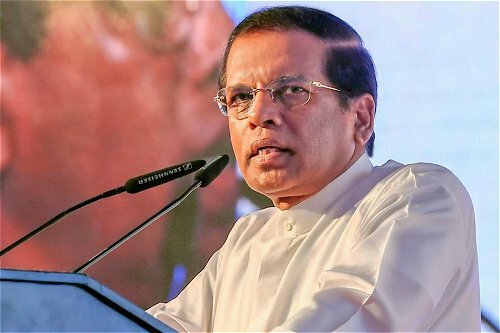 Apr 24 (CP) Colombo- Sri Lanka President Maithripala Sirisena has summoned an all-party conference (APC) Thursday (25) to discuss the situation that has arisen in the country and the next steps. The all-party conference will be held at the Presidential Secretariat tomorrow at 10.00 am. Apr 24 (CP) Colombo- Speaker of Sri Lanka parliament Karu Jayasuriya today requested all political parties and civil society organizations to cooperate on issues of national interest involving security and economic development. Apr 24, Colombo: The government has decided to reopen all schools on Monday, April 29th, the Education Ministry said. The second term of the school year after the New Year holidays was scheduled to commence on last Monday, April 22. Apr 24 (DC) Chennai- The Easter Sunday bombings in Sri Lanka has left in a quandary refugees of the island nation living in Tamil Nadu, who recently opted to return to their homeland. Apr 24 (BBC) Shortly after the bombings in Sri Lanka, and the spread of inaccurate stories began, the government took the drastic decision to block social media. 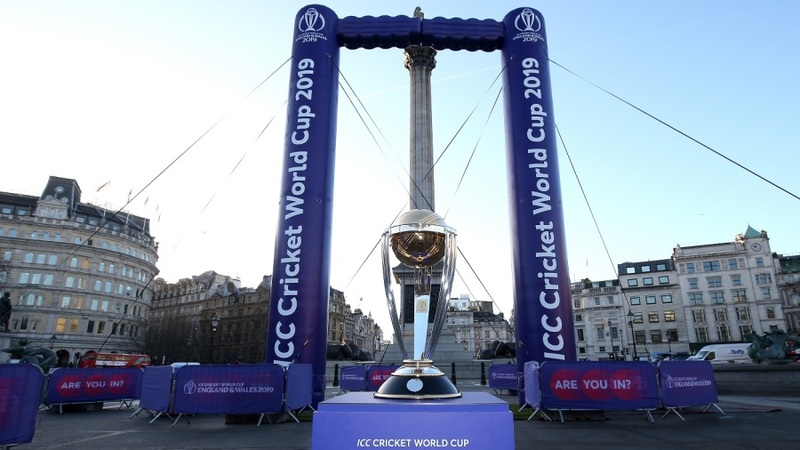 Apr 25 (ESPNCI) All ten sides competing at the 2019 World Cup have now named their provisional 15-member squads, which they can modify before the final deadline on May 23. Which of these squads looks the strongest on paper? Take your pick by voting below. Apr 24 (ICC) A comprehensive 10-wicket win in their final game helped UAE seal their place at the top of the table, while Nepal, despite a win against Kuwait, had to be content with second place at the ICC Under 19 Cricket World Cup Asia Qualifier Division 1.Nepal elected to field first, putting Kuwait�s top batsmen to the test. Apr 24 (ICC) Jonny Bairstow, the England opener, had a great time at the Indian Premier League, but is now looking forward to spending a bit of time at home before the ICC Men's Cricket World Cup 2019 preparations begin in earnest. 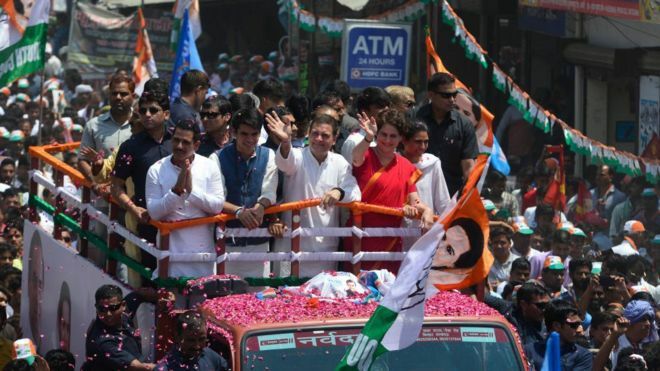 Apr 25 (BBC) India's main opposition leader Rahul Gandhi was all but written off after his crushing defeat in the last elections. But he has energised a struggling Congress party and increasingly set the agenda with a combative campaign. The BBC's Geeta Pandey visits his constituency to assess whether he can unseat the prime minister this time. Apr 25 (BBC) New Zealand and France will lead efforts to stop the use of social media to organise and promote terrorism in the wake of the Christchurch attacks. A gunman killed 50 people in an attack on two mosques in March, while live-streaming the massacre on Facebook. 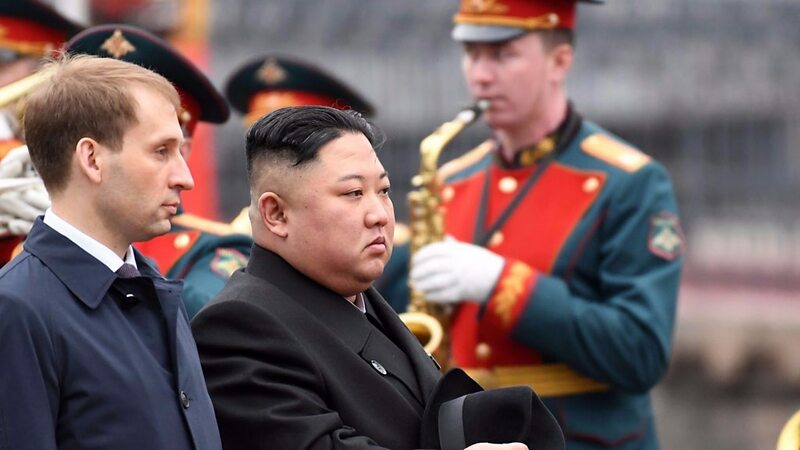 Apr 25 (BBC) Russian President Vladimir Putin has arrived in Vladivostok for his first talks with North Korea's Kim Jong-un. The North Korean leader arrived on Wednesday by train after crossing the two countries' short border. 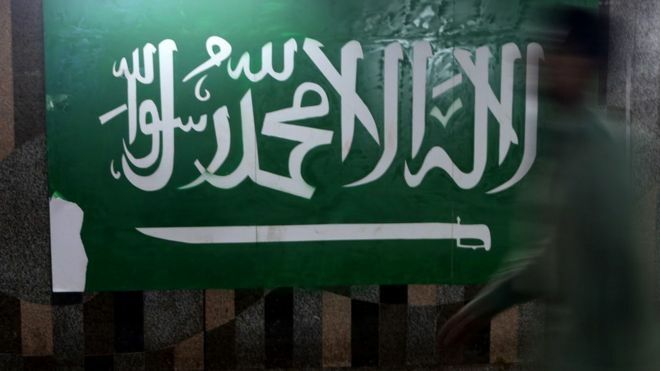 Apr 24 (BBC) A Saudi prisoner has been executed and crucified, according to a statement by the country's state media. The man was one of 37 people executed on Tuesday on charges of terrorism. The statement added that the men were charged with "adopting terrorist extremist ideology, forming terrorist cells" and harming the "peace and security of society". Sri Lanka is a beautiful island paradise in the Indian Ocean with white sandy beaches lush greenery, exciting adventures, amazing wildlife, cascading waterfalls and a rich heritage. The island of Sri Lanka is roughly pear-shaped. The total area of Sri Lanka is 65,610 sq km. Sri Lanka�s coastline is about 1,340 km (about 833 mi) around. The people in Sri Lanka are warm and friendly. Sri Lankans are known for hospitality in all over the world. People in Sri Lanka ethnically fall into four main categories. The population of Sri Lanka is about 20 million. Sri Lanka has a tropical climate. Sri Lanka has a democratic government. Sri Lanka is mainly an agricultural country. Colombo is the commercial capital of Sri Lanka. Sri Lanka gained independence in 1948. 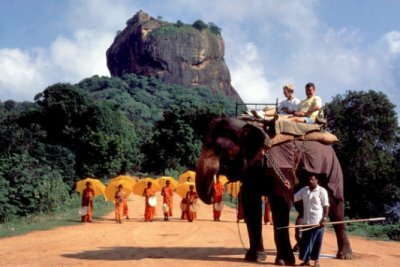 Sri Lanka was known as Ceylon. In the nineteenth and twentieth centuries, Sri Lanka became a plantation economy, famous for its production and export of cinnamon, rubber and Ceylon tea, which remains a trademark national export. By 1996 plantation crops made up only 20% of export, and further declined to 16.8% in 2005 (compared with 93% in 1970), while textiles and garments have reached 63%. The GDP grew at an average annual rate of 5.5% during the early 1990s, until a drought and a deteriorating security situation lowered growth to 3.8% in 1996. The economy rebounded in 1997-2000, with average growth of 5.3%. Sri Lanka, with an income per head of $1,350, still lags behind some of its neighbors including Maldives and Mauritius but is ahead of its giant neighbor India. Its economy grew by an average of 5% during the 1990s during the 'War for Peace' era. According to the Sri Lankan central bank statistics, the economy was estimated to have grown by 7% last year, although inflation had reached 20%.